I am Randhir kaur. I pertain from North East India, Assam, Jorhat. I have gained my education in English Literature (Bachelor's). Author of my debut book 'Joe Blow' (Amazon and Kindle) and I so brought the concept of assimilating 100 writers from across the world in the second book 'Bonmot Yarns' (Amazon and Kindle) . 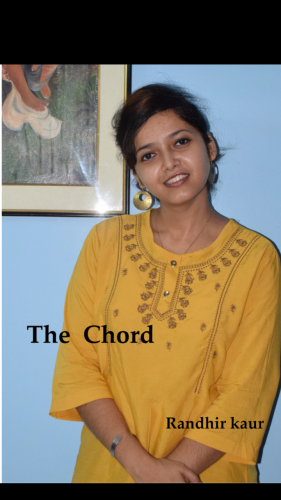 The Chord is my latest in the list. While I am Teacher by profession. My teachers have always been my source of inspiration. With special mentions my dearest Sobha Pincha teacher who never left my side and support. And something another which inspires me is to know people. Interacting with new faces gave me a reason to write the cruel truths of the society. I dont follow any style, neither I try to imitated any recognized author because I believe in oneself. My words are enough provoking than any Romanticism. My essence is lost the moment I try to replicate Wordsworth or Jhumpa Lahiri. Many times I can write in close doors and some times I can write in a crowd of millions. This is a surprise to me. I dont have any style but my favourite genre is poetry only. I mostly imagine the characters that they are me. I give life to the whimsical figure and thats how I can make a parable. Writing is solution to depression and one can get inspired by the words ,so never stop writing that's good. To me many writers have helped me in getting stable in life. Writing and reading is very necessary in a world like today. I decided to publish my books because that is what I wanted. I had a lust for showing my struggles which I still bubbling my veins. My incidents influenced me to eject my feelimgs into a book. I had done a hard work to get through this. I will definitely publish books soon. Currently I don't have a plan. But I have that hunger too.